Way back in January 2011, Peter Rose, editor of the Australian Book Review, described what he looks for in new reviewers. Of course, he’s writing about reviewers for a serious journal, but it got me thinking about what blog readers look for when they visit litblogs. And so, I thought I’d ask. I know what I like, but what do you? First, do you look for something different in a litblog review from one in a newspaper? And, whether yay or nay, what do you want in a litblog review? A summary of the plot or a longer description of the story? How important is it to avoid spoilers? Information about the author and other background material to the book? In the review, or as a link to another site such as Wikipedia? An objective analysis of the book in terms of its literary merit or a more conversational chat about what the reviewer likes? Lots of quotes/excerpts, few or none? Essay-style or headings and dot-points? A discussion of well-known easy-to-get books or lesser-known and perhaps harder-to-find ones? Tags/Categories/Labels? If so, what sort of categorising do you find most useful for delving into a blog? Information about where to buy the book? And, for fun, the Oxford comma or not! I know most of these are not necessarily either/or propositions, and you don’t have to answer them all, but I’m sure you have preferences. Hmm, Oxford comma, now that’s a knotty problem. Why do they call it an Oxford comma when the Brits don’t use it, I wonder? Anyway, I think I’ll stick with what Mrs Sheedy taught us in Grade 6. No comma before ‘and’ in a series. That suits my British heritage too LOL. LOL Lisa. I’m like Karen Lee. I use it occasionally to avoid ambiguity … I have noticed overall that commas are disappearing, sometimes to the detriment of sense and rhythm. Fashion in prose! As I was clicking on the link to comment, I was thinking ‘Hmm, Oxford comma, now…’ so I am still chuckling to see my opening thoughts mirroring Lisa’s. However, from there our opinions differ. I often use the Oxford comma to avoid ambiguity. If there is no ambiguity, I leave it out. Ambiguous enough for you? For what it’s worth, I’ll tell you some of the things I look for (although I don’t always do my reviews in the same way). 1) I do like a bit of background on the author, particularly if it relates in any way to the book they have written. 2) I definitely love quotes because that’s really how I can tell if it is a book I want to read. 3) A good bit of white space for blogs so it’s easy on the eye and, yes, I love a pic sometimes. More than anything, I like to be surprised, just as I so often am by good writers. Instead of reading the latest from an author that is similar to their last book, I like to be blown out of the park by something really NEW. In the same way, I like reviewers who ‘mix it up a bit’ so I never really know what to expect. Oh, love your answer, Karen Lee. Surprise … That’s a good thing to aim for though not so easy to achieve! Agree re comma. And white space is a good thing … Particularly in the electronic environment I think. There are two ways I use reviews: to get a handle on a reading experience of my own, and to get ideas for new reads. I generally google for the first and follow litblogs for the second, but I like it when a blogger’s literary journey takes me back to books I’ve already read. 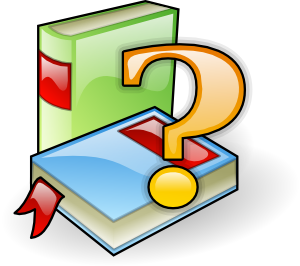 A litblog reviewer can use the perpendicular pronoun, adopt a chatty style, and review a book without necessarily having read anything else by the author; but they still need to draw out what makes a book good or bad in terms of literary merit, as well as infering what happens without spoilers. I like a pithy essay style with short summaries, links to more information about the book and author, and quotes to illustrate a point. Publication details add context, and links to other reviews are useful, but I have my own places to go to buy books. Thanks Judith, that all makes perfect sense to me. Having for so long avoided using the perpendicular pronoun I must say I enjoy being free to be more personal in the blog and be a bit chatty, say why I chose the read the book, why it relates to me, etc. Sometimes I’d like to free myself up a bit more … work in progress! A thought-provoking post, helpful too as we think about what it is that we as book bloggers do offer. I’d like to be informed in a succinct way about the story, a summary, but not spoilers if they would affect a reader’s enjoyment of the work. Author’s background and relevant info of the work such as awards are important info too I think. While the literary analysis of structure, plot, characterization are helpful, I tend to look for a more personal perspective and the reviewer’s own insights, something like a ripple effect. 😉 After all, as Roger Ebert said, ‘all reviews are subjective.’ And yes, stylish writing can make a review more convincing and enjoyable as well. Thanks for an interesting post, WG. I’m curious to see what other bloggers think. Thanks Arti … when I started blogging I resented avoiding spoilers because I like to explore the “meaning” of a work rather than just “review” it, and it is hard to do that without giving away the ending but I’m gradually working out ways around it! I do like to do some literary analysis because I love to think about “how” writers go about engaging us and achieving their goals. Which is a bit funny really because I have no aims to be a fictional writer myself (that is, a creative writer). But, I like to think about why they chose to tell their story the way they did, if that makes sense. I’m interested too to see what others think … and am glad you’ve added your voice to the mix. I did like Peter Rose’s points – sweetness and grammar – and just had a laugh at the Oxford comma quandary (To my parents, Ayn Rand and God!). I do like your style of reviews as they are I must say. Focussed but flowing, honest and clear, neither harsh nor too laudatory. I also like some quotes, some past links and a sort of quiet consideration of the author’s intentions and his or her ability to carry these out. I like to read about language, no spoilers please and at least a couple of characters who might draw me in. A little about the author, just enough. And sorry to harp but having read a range of reviews lately while researching, a simple Sorry, not for me! instead of unbuckled slamming should the reviewer dislike the book. Being a writer always makes me consider the hours and effort involved in producing and finding a publisher for 200-odd pages, so I do prefer fair, not mean. Last week there was a good article in the Guardian about the incestuous rapport between publishers and reviewers in the newspapers VS the validity of Amazon reviews with their full range of dad’s praise or utter slaughtering. It’s incredible how venomous and cursory some reviewers can be, and ridiculous how some books are praised to the heavens. Thank goodness there are so many great book review blogs for something more measured. Thanks Catherine … I liked the way Peter Rose expressed himself too! Thanks for the compliment (though I wasn’t asking for that.) As you know already I’m not one to slam a book. The only books I really disike are those that are cliched and wooden, and I’m pretty good at avoiding those. A book might be overwritten, a little predictable, murky in theme, convoluted in plot or antithetical to my views, but if the work has some sense of originality then I’ll give it the time of day. It’s partly about respect I think. Thanks Hannah. Yes, the Warning … thanks for bringing that up. In my early bogging days, I did do some spoilers and would give warnings. I think that is a valid way to go as long as the warning is clear and not too close the the actual spoiler. No Oxford comma thanks! I work on loads of different magazines (here in UK) as a freelancer these days and I can happily confirm that not one of them uses it — unless, of course, it is to avoid ambiguity. As for book reviews, can I tell you what I don’t want? There seems to be a real fashion among book bloggers for simply copying the blurb verbatim and then writing “my thoughts” underneath. I no longer follow blogs that do this. A bit of info on the author is OK, but it’s not of great interest to me (which is probably why I just work it into the body of my reviews). I often wonder where people source this info anyway — most of it is copied word for word from the author’s own website or wikipedia. If you’re going to do that, then simply provide a link. And does anyone bother to respect the copyright of author photographs? I never see pic credits on them. But this is a great post, Sue. Lately there’s been much controversy in press and on Twitter over whether bloggers actually write reviews. I’ve avoided getting involved in the argument. Many think reviews MUST put the book into context with the author’s oeuvre and the literary world as a whole. But I personally don’t think this matters: how does knowing that kind of information help you decide whether you want to read the book or not? Thanks kimbofo. Yes, I agree with the Oxford comma … just to avoid ambiguity. I have seen a couple of blogs as you describe and was a little astonished. I didn’t go back! I agree with what you say about author info … I tend to not include info but just provide a link, usually to Wikipedia because it usually provides other links and it’s not likely to break. As I’m sure you know, I always check copyright and attribute my photos. It’s an article of faith for me. I don’t really keep up with Twitter and only follow a few anyhow (including you), so I hadn’t seen the current controversy, though I have seen discussions in the past. I agree that putting a work in literary context isn’t a “must”. It might be relevant sometimes depending on a work but blog reviews aren’t literary essays OR they are only if the blogger wants them to be. I’ve never seen that Updike article before but I can see why you like it. It’s from the author’s perspective, but it’s pretty reasonable it seems to me. Thanks for sharing it. I *so* agree with Kim about blogs that copy a plot summary from the press release and then relate their ‘thoughts’. It’s structurally lazy. Thanks Angela. The responses have all been great … I will do a follow up. – some info about the author but this is not a must. If I’ve read a book by the same author I will mention that and also if there’s some interesting detail as well – when I read “The Yellow Wallpaper and Other Writings” by Charlotte Perkins Gilman I found out that she was the niece of Harriett Beecher Stowe, who wrote “Uncle Tom’s Cabin”; I thought that was interesting to mention. – I don’t want an academic review, what I want to see is the impression that particular book has left in the mind of the reviewer. Did they like it? If yes, why, if not, why? I’m not fond of very long posts either. If it’s something that goes on and on, I might just skip it. – some quotes are fine. It’s interesting to see the passages people like in a book, as I think they tell something about the reader. – not really interested in the awards won but there’s nothing wrong if they are mentioned. Thanks for joining in Delia. I’m loving everyone’s comments … and pretty much agree with all you say here. I think how the blogger came to read the book is often interesting and personalises the review nicely. I think I sometimes don’t make the impression the book left on my as clear as I could. In trying to avoid cliches I sometimes say nothing! Must work on that one! This is a great, thought provoking post. I have to confess that I do the dreaded back of the book synopsis, followed by my thoughts, and after having read kimbofo’s remarks, I need to give some thoughts on restyling. * A basic summary of the plot, either above review or incorporated into review. I do not like the whole book regurgitated at the beginning of the review. It’s boring (to me), and it serves no purpose (IMO) in convincing me to read or not read. Frankly, if I’m reading the book review, it usually because I’m familiar with the author or it’s a title I have heard or had recommended. * I like both objective analysis of literary merit and a conversational chat about what the reviewer likes. I tend to lean toward more informal, non-academic reviews, although I avoid reviewers that are just gushing (or complaining) about content. Obviously content is important, but reviewing (again, my opinion) is not about pointing out all the ways I would have done it differently, but rather evaluating whether or not the finished product works or does not. * Some quotes, but they shouldn’t be the overwhelming bulk of the review. * Essay vs. Bullets depends on the reviewer I think, and (to some extent) the book reviewed. I have employed that technique when I have several specific points to address, but most of the time I write in essay format. * Keep it short. It is rare that I stick around for a long review, unless the reviewer’s writing style grabs me immediately. I think it’s important to make your points and be succinct. That is what I gravitate toward reading, and that’s the aim when I write my own reviews. * Images? Only if they are illustrative of a point. * Awards? Not an important point for me personally. * Discussion of other works, etc.? Again, if pertinent or illustrative of a particular point. * Tags / Categories / Labels? Yes, yes, yes! * Reading challenges? Not important to me. * I think publication details are important, but they should be brief. Title, author, format, narrator (if audio), isbn, copyright date. This is especially important to me on audiobooks that have several versions, becuase some narrators are vastly better than others. * I hardly ever follow links to other reviews unless I follow the blogger and know them to recommend things that I will like. Otherwise I read reviews on Goodreads, Amazon.com, or wherever. * Unless the book is extremely hard to find, purchase info is unnecessary IMO. Thanks for this post. Loved it. Lots to think about! LOL Laura, thanks for commenting and ‘fessing up! I don’t think there’s necessarily anything wrong with that style…different readers like different types of reviews. Also, it’s a matter of why you are writing your blog, what you want to achieve, and how much time you’ve got to write them. The one great thing about blogging is that none is paying us so we can write exactly (as long as it’s legal of course) what we want, the way we want to write it. Thanks for all your reflections on my questions … I think we’re building up quite a picture and I might do a follow up post summarising them in a few days (or a week or so!). * avoidance of spoilers or hints of them although a warning beforehand is ok.
* Brief publishing info is good but not essential. I really like to know the reviewers thoughts on the book, how they came to choose it, what they liked and honesty about what they didn’t. So I guess I’m more into the personal aspect of blogging but I do apprecicate a well researched and thought out review. No matter how well written a review is, I’ll only want to read it if I’m likely to want to read the book so I like to read bloggers who have a similar taste in books to me. Now with all those requirements I wonder if I do any of that myself! Thanks Tracey … so glad you decided to join the discussion. It’s interesting that a few people would like to know “why” the blogger decided to read the book. I know I like that sort of personal info too … and you’re right, in the end we’re most likely to read reviews 9and accept a variety of styles and approaches) from bloggers with similar tastes. None or all of the things you listed. Difficult to say for sure but some little phrase or quote or aside that makes me think, I gotta read that! Now that was short and sweet Nicola, but said it all really! Thanks for joining in. Super blog post! Funny how these things work, isn’t it? I look for different things from different reviews. If I trust the reviewer then all I look for is a recommendation. Your list certainly makes me think about my own reviews – do you present what you like to see in the reviews of others or do you present what you think other people want to read?? Food for thought! Thanks Justine. I think you make a good point about looking for different things from different reviews. I knew as I was writing it that nothing is cut and dried but I thought it was worth asking the questions and seeing if there were some preferences. I’m rather relieved to find that few people have preferences set in concrete. I’ll add a third question to your two: Do you write what you want to record so that you’ll remember the book in the future! That was one of the reasons I started … and I felt that the discipline of writing in on a blog than a private journal might better keep me on task! I think it has! I love your added question: ‘Do you write what you want to record so that you’ll remember the book in the future?’ Truthfully, no. I write about the book so that I will remember it because my brain is rapidly turning into a sieve (either because I am getting older or because I have simply read way too many books!). My real motivation for reviewing is that I think I’ve read enough to be able to recommend (or not) books to other people. I always try to include information on how I came across the book … For example, there was a time when I was Jeanette Winterson mad and any book she wrote was one I had to have … my opinion, clearly biased! I think it’s a good indication of the calibre of the reviewer if you can connect with their reading history. As we all know, there are different strokes for different folks! Oh thanks Justine for considering the third question, which I expressed pretty poorly I now see. I like your idea about the bloggers’ “reading history”. I love that you refer people to your blog for recommendations. I hope they come back and comment later on what they thought! Thanks Stu … I like your point about comparison with like writers. That’s sometimes easier said than done but I like the way it can built up a literary picture. Fair point about not finding reviews for lesser known works, such as translated works and those published by smaller publishers. Thanks for asking and thanks for all of you who have already responded. I agree with much of what you have already said. My own additions follow. Not a plot summary or longer description of the story, please. I dislike spoilers greatly. I like to get information in the order the author intends. For non-fiction, I definitely want a summary of main points. I do like some indication of what any book is about—plot, characters, mood, setting, style. I don’t think analysis of literary merit is ever “objective.” I don’t want a review to be judgmental, but some comments on literary aspects of a book are very welcome since I don’t always catch them myself. I like a more personal style and response. I like reviews that link the book being discussed to other larger issues or other books—like our discussion of Cather did. I appreciate suggestions for related books. Some well-chosen, generally short quotes are welcome. Essay-style only. Headings and dot-points are not reviews. Long or short, depends on the book. More innovative, creative books and those not reviewed elsewhere need longer reviews. A discussion of lesser-known books. What is easy to find in Australia may not be in the USA. MINOR FEATURES, nice but should not predominate. Ah thanks Marilyn … I think I’m with you about plot. I tend, I think, to give a broad sense but that’s all. In my first ever blog review (it was on a group blog), a commenter said it was very interesting but she’d like to know what it was about! I realised I’d said pretty much nothing about that. I edited that post! And “depends on the book” just about sums it all up doesn’t it. I like your good point about longer reviews for those not reviewed elsewhere. And sometimes for those well (as in frequently) reviewed books, it can be good to do something different from the traditional review – pick an angle and work on that. Our Cather discussion was great, I agree. A book can have so many different angles to relate it too – the form/genre, the voice, the setting, the themes, etc. Depending on which of these you look at, a book can re related to quite widely divergent works, which I find fascinating. When was it that Oxford claimed the comma? Thirty-five years ago, or thereabouts, I heard it referred to as the “serial comma”. I find that I almost never read reviews of fiction. For non-fiction, I want to know what the book is about. If it is a subject I know something about, I want to learn what the book has to say about the subject that I may not have heard before. If it is a subject I know little or nothing of, tell me why I should repair my ignorance. Also, I had a look at the paper that compares Amazon reviews to professional ones, and it appeared to me to make much more modest claims than that they were generally comparable. I have no idea George. There could be a PhD in that! I’m probably a bit like you re reviews – I tend to mostly read reviews AFTER I’ve read books and written my own. Helps me be fresher … I must read that Amazon review comparison article. Hi Sue, I thought I’d just add some thoughts discussed at the Sydney Writers’ Festival. In a session entitled ‘Friends Reviewing Friends’, Gideon Haigh commented that he believed we have a review culture in Australia but not a critical one. Borrowing a thought from one of our best critics, Geordie Williamson, from another session (‘Classic!’), he said that culture is the links between all our books. So my take on things is that to move toward a critical culture one should try to describe not just the book itself but its links to other books, its place in our culture. That means being very well read, of course, but it’s a nice aim I think. John. Thanks John … and that’s using “critical” in its wider more analytical sense isn’t it. I like that sense of “culture” being the link. My problem is that as well as being well-read it also requires a good memory, something I fear I’m losing with time! You ask such good questions! What I like is for the review to be appropriate to the book being reviewed. If the book is fluffy and all plot then I don’t expect in-depth character analysis. But if the book has depth, I expect the review to have a bit more depth too. A brief plot summary is nice and I don’t really care about spoilers (except for whodunits) becasue I very likely will have forgetten them when I get around to reading the book. I like background information that is relevant to the book. A few quotes are nice especially if the blogger mentions how gorgeous the language is, but I don’t like quotes that are really long unless it is somehow unavoidable. Definitely essay-style, mid-length to long-ish. If it starts getting too long I generally think the post maybe should be divided into two. What I like to hear is about the blogger’s reading experience and engagement with the book and some analysis of what made the book good or bad for them. I really dislike it if the blogger declares the book horrible or stupid but doesn’t bother to examine it any further. Likewise on the gush side. I also like it when a blogger picks out a theme or character or idea and mulls it over a bit. I don’t want New York Review of Books-type posts. I like them personal and quirky. As for the Oxford comma, only to solve issues of ambiguity. Another great response, Stefanie. I’m thrilled that people have taken time to express their views on this. Your spoiler comment made me laugh – I can related to that. I take your point on long quotes – it’s hard sometimes but I agree that too many too long ones can make me glaze. But, like anything, it depends! I like your point about splitting a review into two. I sometimes do that with Delicious Descriptions but making a real second post is a good way to go I think (in some circumstances!). I read litblogs to see books discussed, rather than reviewed, the difference being that a discussion can concentrate on one tiny thing, it doesn’t have to give you a fair overview, and it isn’t trying to let you know whether you should buy the book or not — a discussion wants to let you know that the blogger is interested enough to choose this book, out of all the other books in the world, to talk about, and then the reason, and then more reasoning beyond that; it gives you an idea of the blogger’s tastes, and then you might be interested without feeling reviewed-at; you know the writer hasn’t been working under the pressure of a target. But if you’re reviewing then you might as well make it as dense as possible — get it thick and nice, throw in the author’s background for good grist, make it “essay-style” not “dot-points” because “dot-points” make me wonder if you think I’m too much of a boofhead to follow an argument without regular signposts (reading, YOU ARE HERE, with big arrows, NOW WE DISCUSS THEME B, A FAMILY TORN APART). Quotes to back up opinions are useful, but, speaking anecdotally, quotes that’re meant to prove that the author “writes lyrically” or “beautifully” are usually a waste of time; lyrical writing works best when it’s cumulative (which you cannot quote), and beauty is subjective. Question: “An objective analysis of the book in terms of its literary merit or a more conversational chat about what the reviewer likes?” Answer: a subjective analysis of the book in terms of its literary merit, revealing the reviewer’s area of preference. Short or long: whatever works best. If long, have plenty to say. Images: there or not, it doesn’t matter. Entirely up to the blog-stylist. A picture of the cover or author is not necessary. Would actually rather not know that book written by nicely-smiling blonde lady in attractive garden deckchair with Tudor decor in background. Awards: nice to know but not essential, can be reviewerishly handy if they tell you what kind of book it is. “All right, so it’s the kind of book that wins that prize.” Shorthand. There are people who avoid Booker winners. But the reviewer can use the mention of the prize to discuss the prize. “It’s an atypical Miles Franklin winner, in that it’s wildly avant-garde and set in a Patagonian diamond mine.” Labels and categories: if I’m searching through a blog then Author and Country are helpful. Oxford comma: do not mind. Let it appear or disappear, whatever makes it happy, like a sea turtle. Entertaining … and thoughtful … reply as usual DKS. I like your point about “discussed” rather than “reviewed”. It’s worth thinking about approaching litblogs more in that way. I’ve realised recently that I tend not to produce neat little quotable bites (like, “heartfelt writing that soars” or somesuch) … I’ve seen people struggling to get them from my blog but I don’t think I’m going to change my style because it’s not really me. Like Lizzie Bennet I’m a “rational creature” rather than an emotive one. And I take your point about quotes. Sometimes I think that a book is “beautifully written” so want to give some examples, but then discover it’s hard to find something that works out of the context of the whole. I still try though. Usually for my own benefit to provide a hook for my memory later, if that makes sense. You made me laugh about not wanting to know the author was “a nicely-smiling blonde lady…”. As for dot-points, I do use them sometimes – not because I think my readers are boofheads but because I’m either lazy or, more often, want to create some white space to give the readers a breather. I promise not to overdo it but!! I’ve seen someone promoting the idea of dot points for that reason. White space, not laziness. Less intimidating than large chunk of text. Increases confidence in audience members. “I can handle this.” Individual launches self on sea of prose like indomitable dinghy. Reviews of “lesser-known” books are the best justification for the whole practice of blog-reviewing, your review of Fergus Hume and his Hansom Cab, for example, a bit of literary history I might never have heard of if you hadn’t mentioned it, or the review I saw on the Aboriginal Art & Culture blog, of Minoru Hokari’s Gurindji History, a book I would never have imagined. You come across the idea of a book like this and it’s Andre Breton finding startling objects in the Paris junk-marketplace all over again. You do have way with words! I can see people launched on a prose sea in their indomitable dinghies. I agree that giving air to lesser known works is great justification. It’s also very satisfying isn’t it? I like blogs to be brief and to the point. I want to know if the blogger enjoyed the book, and if not, why not. I appreciate a few lines from the book to give me an idea of the writing style. I also like to know if it is a charactor or plot driven story, the time period and the setting of the story. If it is non fiction, I do expect more detail and the relevance of the book. Thanks Meg for contributing. I’m really appreciating hearing everyone’s ideas. I like your comments about what you particularly like to know – character or plot driven, time period and place setting. I think a round-up post is coming in a week or so because some patterns are emerging.